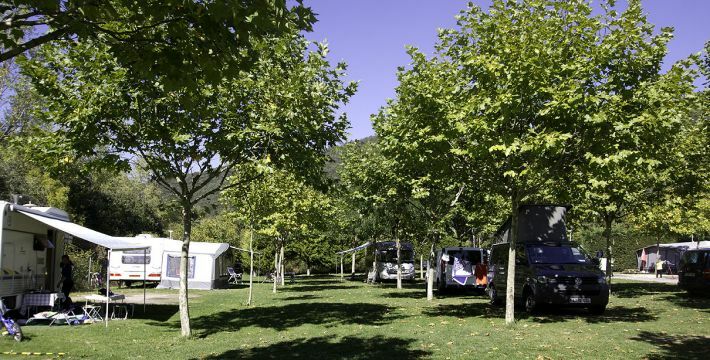 Camping Angosto is a Category 1 campsite, located in the inland village of Villanañe, in Valle de Valdegovía, Araba. It enjoys a privileged natural environment, with extremely low population levels, which will allow you to discover and enjoy nature and silence in its purest state. note. Clicking on the buttons will get more information. Situado a 30 km de Vitoria-Gasteiz, y a tan sólo 60 km de Bilbao; el Camping Angosto se encuentra situado en pleno corazón de Valdegovía, valle que destaca por su gran riqueza cultural y paisajística. Send the reservation request once it has been filled out correctly. After it has been received, the campsite will get in touch with you about availability for the requested dates. The campsite can cancel a reservation if the details given are not authentic.